We finally know who is the 2018 Australian of the Year, and the honour goes to physicist Michelle Simmons in recognition for her work securing Australia’s place in the race to build a quantum computer. 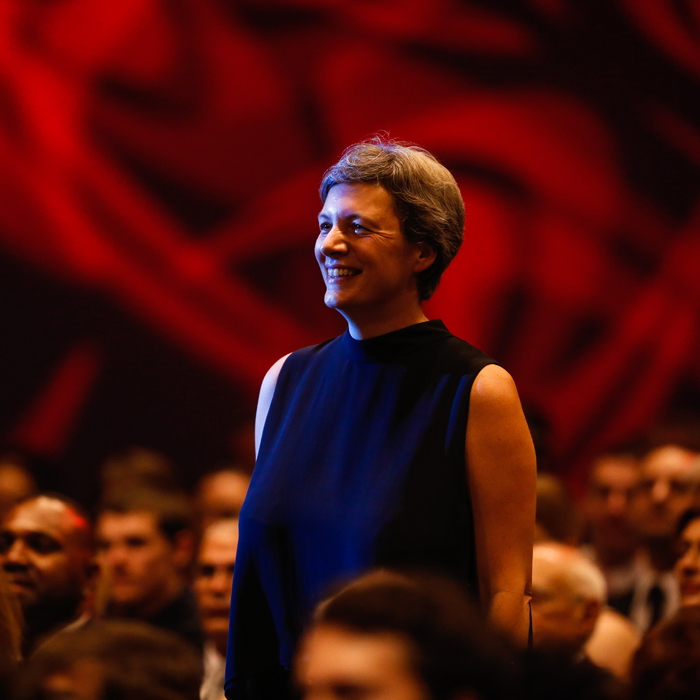 Whittled down from a host of local-level and state winners, Michelle Simmons emerged as 2018’s Australian of the Year for her contributions to putting Australia on the map as a world leader in quantum computing and nanotechnology. Simmons is a professor of physics at UNSW and director of the Australian Research Council Centre for Excellence for Quantum Computation Technology (CQC2T). In these roles she leads a team of more than 200 researchers across eight universities working to develop technologies that will make quantum computing, advanced information storage and next-gen communications possible. In an interview with the ABC, Simmons said she loves to challenge people’s expectations of what she can do, a path that led her to the mostly male-dominated world of quantum physics and mathematics. “I found that the more difficult the challenges I took on, the more rewarding it was and I thought ‘wow, this is a phenomenal world to be in’,” she said. Simmons grew up and studied in the UK, but moved to Australia in 1999. For her, the country oozed opportunity and leadership potential, and she loved the Aussie mentality of “giving it a go”. “Australia offers a culture of academic freedom, openness to ideas and an amazing willingness to pursue goals that are ambitious,” she has previously said. Throughout her career, she has helped pioneer technologies to build atomic-scale silicon devices, including the world’s smallest transistor, the narrowest conducting wires and the first transistor whose operations are controlled by a single atom. The end goal of this work is a quantum computer capable of performing extremely complex calculations in seconds instead of years. This would revolutionise industries including health, finance, transportation, cybersecurity and more. “Building a fully functioning prototype quantum computer in silicon is a massive task. But I have an excellent team with the dedication and determination to make it happen, and this award is also a wonderful recognition of their immense efforts,” she said. Even before being named Australian of the Year, her list of accolades was long: she is one of only a handful of researchers to receive a Federation Fellowship and a Laureate Fellowship from the Australian Research Council; she won a Pawsey Medal (2006) and a Lyle Medal (2015) from the Australian Academy of Science; NSW Scientist of the Year in 2012; a 2015 CSIRO Eureka Prize for Leadership in Science; and in 2016 she was awarded the Foresight Institute Feynman Prize in Nanotechnology for her work in “the new field of atomic electronics, which she created”. She used her Australian of the Year address to encourage more women and girls to pursue science and quantum physics – disciplines where she felt like “a woman in a man’s world”. Again, she drew on that desire to challenge people’s perceptions of what’s possible. “Throughout my career I have found people often underestimate women scientists, and in some ways that is great because it has meant that I’ve flown under that radar and I’ve been able to get on with things,” she said. Only 5 to 7 per cent of her field is women, and she said there are myriad benefits to boosting that number. “I do believe women think differently, and diversity of thought is invaluable to technological and research development,” she said. During her acceptance speech at the Australian of the Year ceremony in Canberra, Simmons also said she hopes to elevate Australia’s quantum computing industry even more. “We are up against the likes of Google, IBM and Microsoft, and if I lived in any other country in the world I would be worried,” she said. For her, Australia is just the place to foster the innovation necessary for researchers, scientists and engineers to turn their ideas into reality. “We have proven time and again that Australian researchers have some unique advantages. We collaborate across boundaries but we also compete hard. We’re down to earth, we are judged by our results and we believe in what is real. Our distaste for authority means we think for ourselves. Best of all, we are prepared to give those hard challenges a go.